We are the experts in house clearances in the Birmingham area. Clearing houses have been our business since 1974. 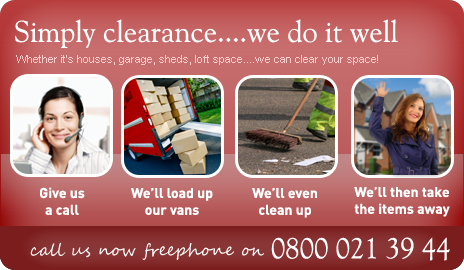 Our wide range of clearance services are available in the Birmingham area. Our friendly team can answer any questions you have today. Established in 1974 Churchill has a vast array of clearance experience in and around Birmingham.